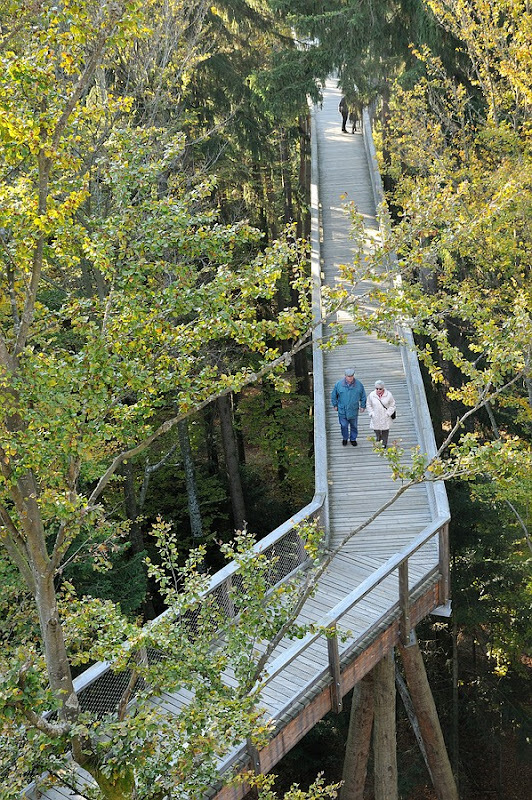 Opened two years ago in Neuschonau, Bavaria, in Germany, the tree-top walk is the longest of it’s kind at 1300 meters that takes you to an impressive height of 25 meters above the tree tops. The walkway ends at an oval shaped dome, 44 meters high. The 360-degree spiral staircase around the dome offers breathtaking views of the surrounding nature. In clear weather you can even see the north ridge of the Alps. 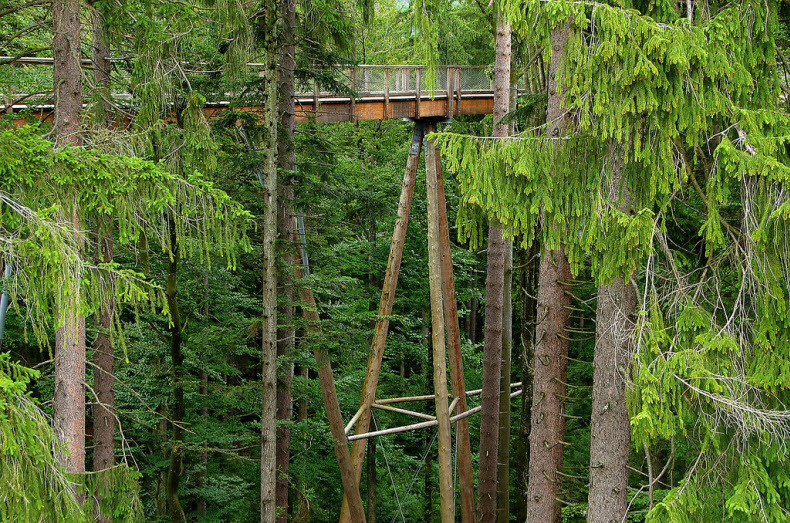 The tree-top walk is a part of the largest protected forest area in central Europe – Bavarian Forest National Park, which is also the first national park in Germany. The tree-top walk, Baumwipfelpfad in German, begins with a short elevator ride or stair climb to the ticket booth, a mere 8 meter above the parking lot. As hikers begin the leisurely walk down a 1300-meter long wood path, the ground begins to gently fall away -- or so it appears -- as the path inclines almost imperceptibly, making it easily accessible for parents with strollers. It is obvious the creators of the Baumwipfelpfad wanted to make visitors feel a part of the natural environment. The path advances freely through the forest, leaving the mature pines forever undisturbed. Several adventure stations are placed along the walkway including a narrow wooden plank enticing hardy trekkers to balance on the beam. These obstacles are fully-enclosed with a safety net and offers a rewarding view of the earth 50 feet below. The observation dome is shaped like a giant egg. Once at the top, a spectacular view awaits the visitors.